We wanted to establish the fact that there is serious demand for mobility among the workforce, driven by consumerisation and changing work/life balance. We also wanted to point out that organisations are slow to adopt this development, with largely insufficient or lacklustre changes in policy, resources and support for mobility. So we interviewed 500 mobile workers to find out what they genuinely thought about the industry and the way they work. 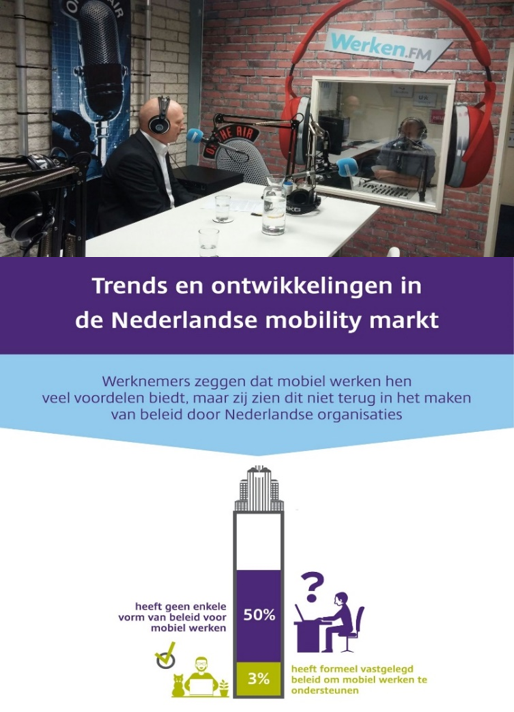 The results showed, among other things, that only 3% of Dutch companies have a comprehensive mobility policy – a sharp contrast with the fact that virtually all respondents indicated that mobility is important for their quality of work and quality of life. We wanted to take this message out to the media, highlight the gap between perception and reality and position Citrix as the brand that was able to bridge the chasm. The media sat up and paid attention. With over 40 publications in Benelux online, print, trade and national media covering the story and Citrix being positioned as the leader that is shining a light on the issue and helping to fix it. The campaign culminated in an in depth broadcast interview with the Regional Director Benelux at Citrix reaching a huge audience and resulting in strong engagement with their target market. Overall, we were able to re-ignite the excitement around the mobile workforce and present Citrix as a company that is in touch with user demand and as the go-to company for creating a successful and sustainable mobile strategy. "They always add the passion, the professionalism and the cleverness that makes the difference between a good idea and a great success."